Moving away from home to go to college is defiantly a stressful time for both your parents and yourself. Some people only go to the college in their hometown, while others (like myself, and many) move to a completely different country. I personally moved from Alberta, Canada to Oklahoma. I get asked a lot why I would go so far for college, or what makes going to school in Oklahoma better? Well I will explain why myself and many other Canadians headed south for post secondary school. The biggest influence is of course rodeo. Of course there is rodeo in Alberta but we do not get the same opportunities as a person would in the southern states. A big factor is the weather, we don't get to practice and rodeo all year round. When the snow starts to fall it makes things a little more difficult. With that being said, there has been high school rodeos where we continued to rodeo in the snow. Throughout high school rodeo we never did have an arena, I exercised my horses in a hay field and would have to drive to an arena if we were to practice, or just set the barrels up in the field. Not only was it nice to get way from the cold weather but to be able to have a indoor and outdoor arena was over the top for me. Like I mentioned before we do not have the same opportunities, this also includes jackpots. 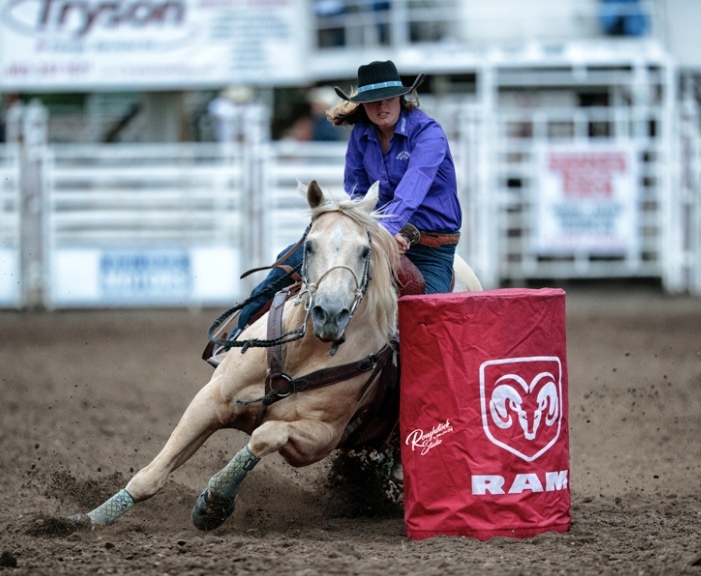 Over the past couple of years there has been more and more barrel racing jackpots arise in Alberta. But for breakaway ropers and even calf ropers the jackpots are few and far between. For some of the amateur rodeos they don't even have breakaway roping as an event, where as majority of rodeos down south do. Along with jackpots, is open rodeos. In Alberta is are many amateur associations and the pro rodeo association, but no open rodeos where you don't have to have a membership card to enter. Now with everything being said, rodeo is what you make it. What ever your put into it, is what you will get out of it. Sure rodeo was a big influence on my decision to were I was going to school at, but no matter where I picked to go to school I had already had a family and friends there. That is why rodeo is such a humbling sport; no matter what rodeo you go to, you alway have friend and family there.